When a new game releases and is discussed in the same breath as ‘Stardew Valley’ and ‘Harvest Moon’, it can represent either the ultimate of all gifts or an absolute curse. Fortunately for ‘Cattails’, which has been designed and developed by Falcon Development, it falls somewhere in the middle. 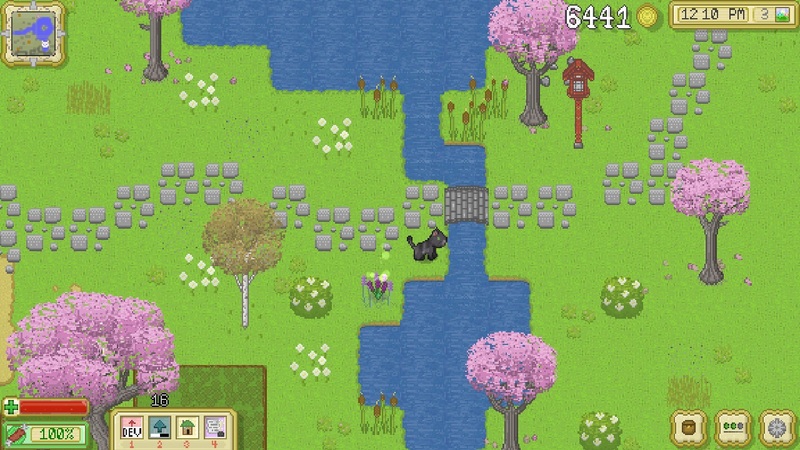 A role-playing simulation game where you take on the role of a cat, it is as creative as it is safe, and as unique as it is familiar. 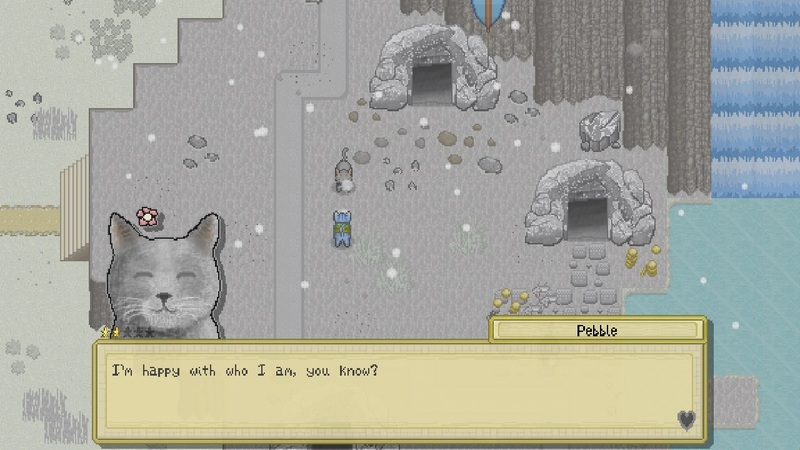 Advertised as a ‘unique animal simulation RPG’, Cattails offers the opportunity to control a cat as it explores an expansive open world. 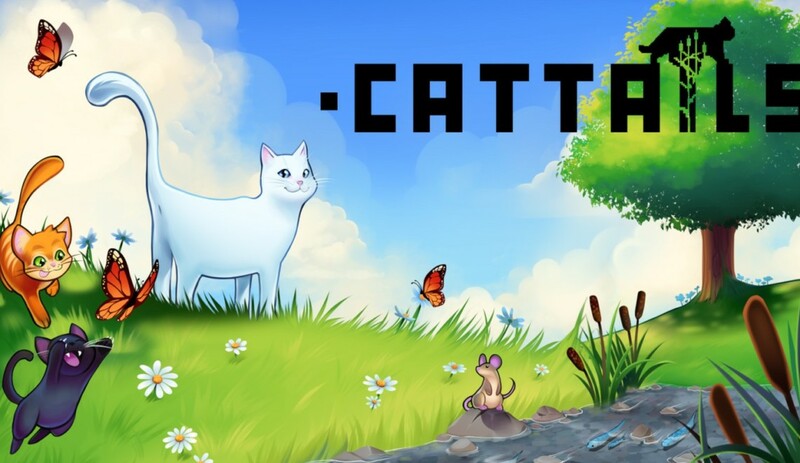 From starting the game as a dejected, lonely feline who has been left at the roadside by a neglectful family, your self-named animal embarks upon a journey that will require you to fight, socialise and hunt…a lot! The similarities between ConcernedApe’s cult classic ‘Stardew Valley’ and ‘Cattails’ are plainly apparent from the off. Although not as smooth and clean as the aforementioned title, graphically, ‘Cattails’ has a lot to offer. As you move between the seasons, the beauty of the landscapes is clear to see. From the lushious green fields to the autumnal leaves falling from the trees, it is evident that the developers have worked to provide an atmospheric and immersive world. I found it both inviting and relaxing to be wandering the lands in search of my next meal or my latest quest. To support this, the in-game sounds were equally as inviting, with the patter of paws as you explore or the sound of the running waterfall near your den providing the perfect ambience. 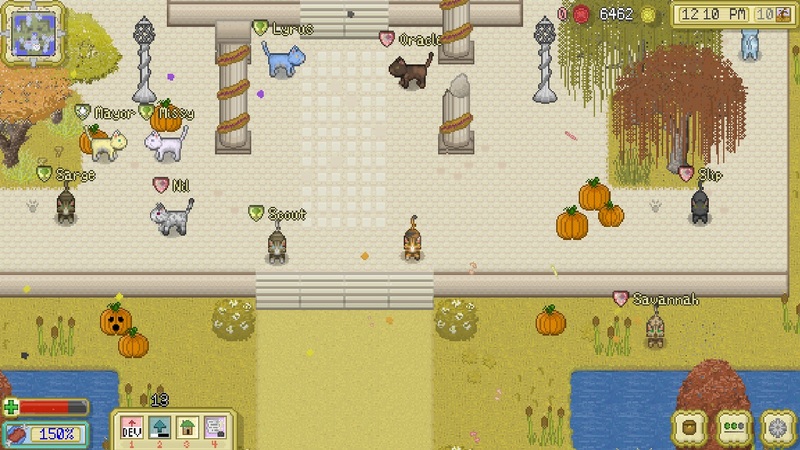 For all its graphical likeness, ‘Cattails’ resembles many of the gameplay elements that have made ‘Stardew Valley’ so successful. 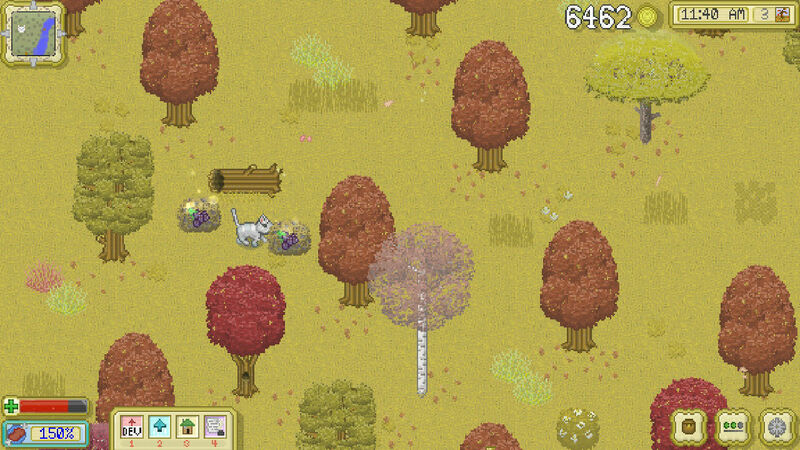 You move between screens to find the latest quest, interact with neighboring cats and hunt for food. Additionally, there is even the opportunity to ‘woo’ one of twelve lucky cats to ask for their paw in marriage and raise your own kittens, or to delve into abandoned mines to hunt for treasure which you can sell to fund your latest accessory addiction. Many of these features are present in Stardew and make for a fulfilling gaming experience, and one that you can get lost in for hours. All of these choices are made under the watchful eye of time, with the date, season and time of day ever-present in the top right of the screen. Each of these has its own purpose: the date dictates which events are occurring, with many season specific occasions taking place which you can engage in with the local community; the time is reflected by night and day lighting effects, with different animals roaming the landscape depending upon the time; and finally, the season, which impacts the weather, the landscape and the opportunities afforded to you. All that has been mentioned so far represent features we have come to expect in games of this nature, and may not be enough to convince you to purchase the title. This is where the ingenuity of creating a game where you control one of the most-loved pets amongst families across the world becomes apparent. Everything feels a little more original as a cat, from seeing the way they interact with the open world, to the objects they explore, and the conversations they share with NPCs. I found it a breath of fresh air and one it would be great to see other developers approach with open arms in the future. The other inclusions which provide the originality that the husband-wife team of Falcon Development were looking to bring to the table is the hunting mechanic and the combat. There is a heavy importance placed on the hunting, as it plays a pivotal role in your survival in the wilderness. In the bottom left-hand corner of the screen, there are two meters. The first, represented by a green cross, is your health. The second, indicated by a percentage, is your hunger. When the hunger level reaches zero, your health starts to deteriorate – just as it would in the real-world. To ensure that this doesn’t happen, there are many prey roaming the fields for you to hunt and eat. I loved this idea as it immersed me in the life of a cat and provided an additional dynamic to consider at all times. I struggled at first with the mechanic itself, as I could not grasp it however it didn’t take long before I was eating everything from rabbits to trout. Combat is another key element, with ‘Cattails’ focusing heavily on territories. On the in-game map is a line at the top of each quadrant, split into three coloured sections. These represent the three warring factions that are vying for the rights to the land. When you enter another colonies turf, you must defeat them to claim the land as your own. To do this, you must engage in a catfight! By pressing ZR, you claw at the enemies and they incur damage, until eventually they die. A fairly unimaginative approach to the combat, it is made more engaging with the inclusion of ‘Passive Skills’ which you can upgrade as you earn XP. Earned by hunting, fighting and completing quests, you can spend your XP to upgrade the four key areas: Hunting, Fighting, Swimming and Foraging. As I stated before, I was struggling with catching prey in the early stages so I decided to use my hard-earned XP to upgrade my Hunting skills. Unfortunately I did not experience the quick fix I was looking for, which is a shame. The idea was excellent, I just felt the execution could have been honed to provide a more rewarding experience. It does state what the upgrade should do at the point of upgrading, however I personally did not feel the effects as well as I believed I should have done. With so much that Falcon Development has gotten right with ‘Cattails’, it is easy to forgive them for any shortcomings. There are a few, and although small in the grand scheme of things, they warrant an inclusion in this review as they would change the gameplay quite considerably. First of all, when engaging in combat with another cat or stalking your prey, leaving the screen and entering the next one results in the prey disappearing and the cat failing to follow. Therefore, if you are struggling in a battle, you can quickly escape the combat by leaving the screen. For an expansive open-world, this seemed to me to be an oversight and one that meant I was never truly immersed within it. The second consideration, and one I have alluded to previously, is the simplistic combat on offer. I would have liked to have seen different moves available or the ability to sneak up on unsuspecting enemies. 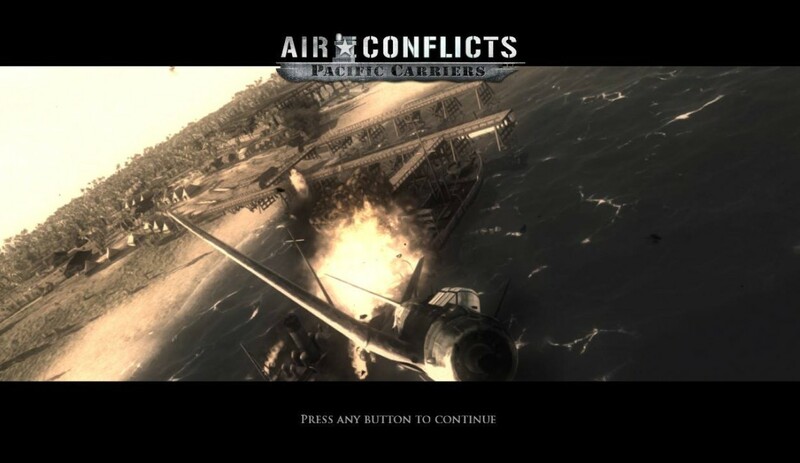 As it stands, the combat is my least favourite element to the game and I regularly avoid combat unless it is necessary – I just don’t find it as rewarding as the other options this game affords me. Charming and ingenious, I believe the Falcon Development duo have struck gold with their take on the open-world RPG genre. It blends tried and tested gameplay with fresh ideas, and is an enjoyable game for a quick ten minutes of a couple of hours exploration. 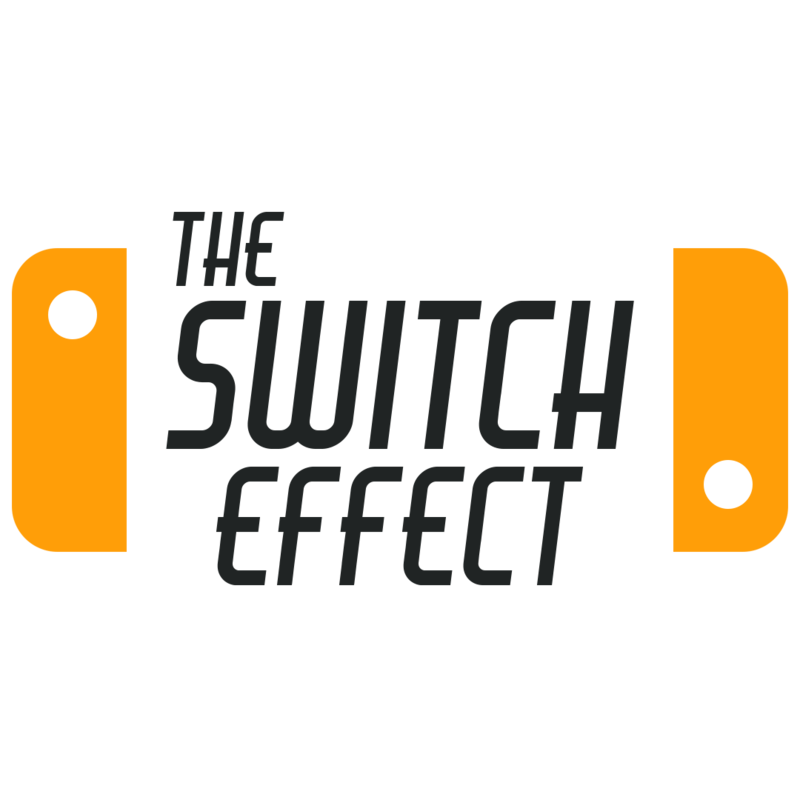 I regularly found myself putting my Switch down, only to pick it back up again and complete one more mini task that I had set for myself. It is not without its faults, and it doesn’t hold up as well against the titans of the genre, however it does enough to warrant a place in your Nintendo Switch library. Forget the age-old cat vs dog debate, the only ‘tail’ you should be writing home about is this one.